Welcome to the Antilley Inn, where you will find spacious comfortable guest rooms. 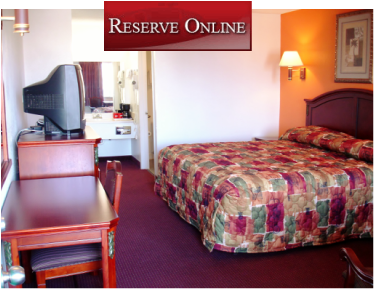 As long as you are our guest, we will do everything we can to make you feel comfortable and at home. All guest rooms are clean, well cared for and boast a refrigerator, microwave and coffee pot so you can enjoy nearly all the conveniences of your own kitchen. We also offer free wireless high speed internet and remote control cable TV. Abilene provides that perfect balance between big-city and small-town living. Known as the "Friendly Frontier," Abilene lies in the geographic center of Texas. Area attractions include the Abilene Zoo, historic Paramount Theater, Frontier Texas, four public golf courses, lakes, and many more wonderful attractions. We look forward to having you stay with us. Pet Policy: Non-Refundable $10 per day per pet for small pets and $20 per day per pet for large pets. Pet fee will vary for extended stay periods.